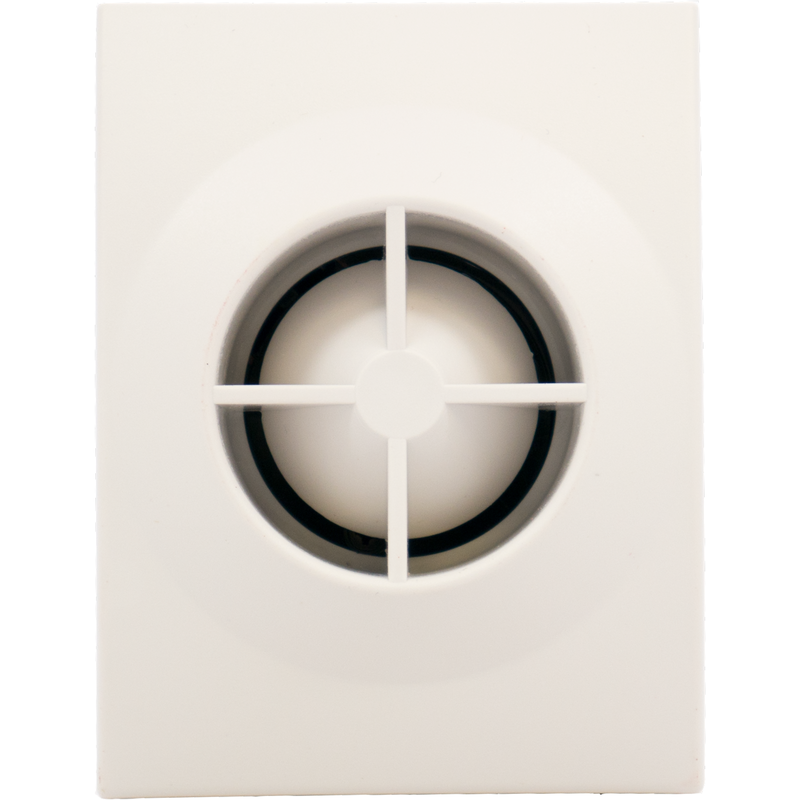 The Honeywell WAVE2 is a indoor, 2-tone, 106db output, hardwired alarm siren. The WAVE2 has two-tones for sound pressures, steady and warbel. The WAVE2 has a unique snap-open HINGED CASE DESIGN which is an industry first for sounders. The WAVE2 also has a terminal strip so no soldering or wire splicing is required. The case back is channelled for convenient wiring access and the patented case design fits a single gang electrical box or wall plate. You can corner or ceiling mount this alarm siren with no additional brackets or hardware required. This unique design allows for easy installation without disassembly.